iPage was founded back in 1998 (yes, one of the first hosting companies!). They have since helped push over a million websites to the internet. They are one of the cheapest hosting companies around, making them perfect for beginners who are just getting started. One of the recommended hosting packages on iPage that we wanted to try was the WordPress tailored hosting. We heard it had some pretty well-received reviews, so we wanted to try it ourselves and here’s what we found. While this is normally £8.95 a month, iPage now offer the same deal at a jaw-dropping £1.50 a month. iPage provide insanely affordable web hosting with some pretty cool features. When you think about it, that’s less than buying a coffee from your local coffee shop! What’s included with that? We found out. Many web hosting companies offer a money-back guarantee if you’re not satisfied with their services, however, what most people don’t realise is that there is a lot of small print within the terms and conditions which means you don’t actually get your money back. What I really like about iPage is that they are 100% honest; if you really don’t enjoy your experience, their money-back guarantee is actually guaranteed; no hassle and no questions. I don’t think you’ll ever need to ask for this, because like I’ve said before, their hosting is astounding considering the price. Now we’ve established that iPage won’t break the bank, it’s time for me to show you why they’re worth investing a few quid in. Web hosts come with some pretty standard features, but that’s not what I want to look at. I’ve purchased my own web hosting with iPage to explore their features and let you in on what’s great about them. When customers land on a website, they want to be presented with information about the products and services available. In fact, 86% of visitors want this from their web journey, and that’s something (in my experience) iPage definitely offers. 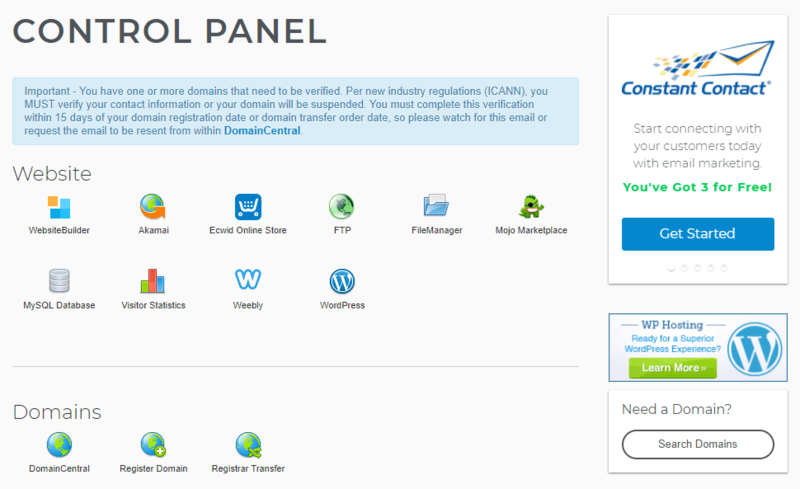 After purchasing iPage’s web hosting, I logged into my account which took me to their control panel. I was pleasantly surprised with the control panel and ‘behind the scenes’ of iPage. I could find everything and navigate my way through the backend of iPage easily (nope, I didn’t need any assistance)! If I wanted to install a CMS like WordPress, it was installed with the click of a button and easily found via the search function on the customized control panel. Although iPage’s control panel is clean and slick, I found the search functionality really useful. I know that seems like a really small feature to pick up on, but it’s features like this that make or break a web journey for me. iPage’s control panel is very intuitive, which is something I like to see, as beginners can often get lost and dumbfounded when trying to use a web hosting control panel. The control panel is available on all plans, so you won’t have to pay through the roof to get a good user experience. Site owners will have access to their websites’ user and visitor statistics at a simple glance, including site traffic and reporting tools. 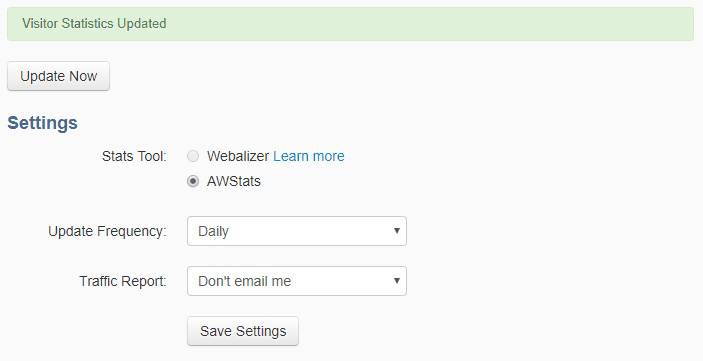 There are two options to choose from; Webalizer and AWStats. These tools are great if you’re interested in the raw data of your website, which is especially useful for eCommerce websites – all in all, we can’t fault it. 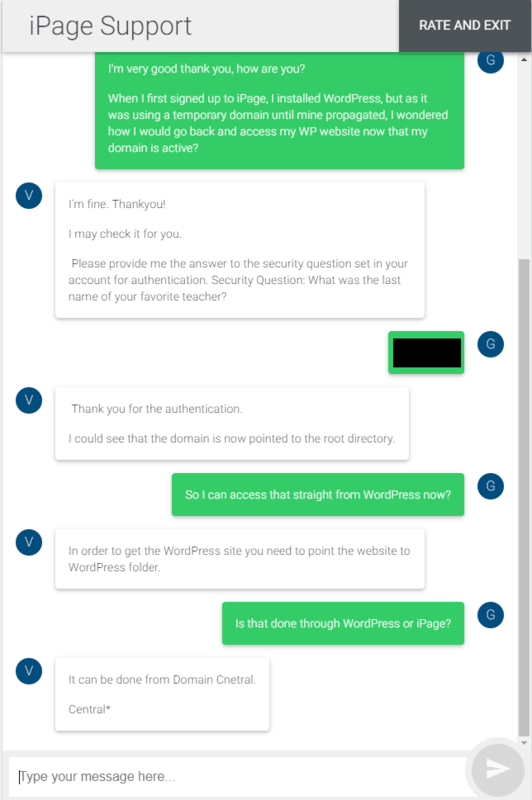 For WordPress users, if you don’t want to have to log into WordPress every time to manage every little aspect, consider making use of the control panel that’s customized for you and the options you use most with WordPress. We were highly impressed with the backend of iPage. In order to test iPage’s performance and uptime, we signed up to an iPage pricing plan and created a dummy website on WordPress to obtain some real and tangible results. We monitored the uptime of our website on a minute-by-minute basis and here is what we found. Research has proven that a large percentage of website users will abandon a website or a webpage within 3-5 seconds if it hasn’t loaded, so we felt the need to test out our own website that we created to check out the scores on the doors. Our website loaded in 1.59 seconds, with a performance rating of 83/100. We hadn’t performed any optimisation to our website at all, so considering all we did was install WordPress and add some content, we’d say that was very good news! As I said earlier, when I first scored my test website with iPage, I hadn’t optimised my WordPress site at all. I decided later in the year it was time to add some more content and fiddle with some of the WordPress features iPage had on offer. I created a GTMetrix account to get some more data on my updated website. As you can see, the total page size had increased slightly, but with a little optimisation, my website scored an incredible 100% in terms of performance. My test site loaded within 0.5 seconds which is well within the average figures (far beyond actually). After a slightly disappointing uptime of 99.72% (where our test websites with other hosts were 100%) we wanted to see how iPage performed over a weekly basis. We experienced another outage lasting 1 minute, however, over the space of a week, this caused our uptime to increase to 99.97% which is most definitely an improvement! As promised, I monitored iPage’s uptime on our test website over the next 30 days. I wanted to see if things improved and give you some insight to the average uptime on my website. 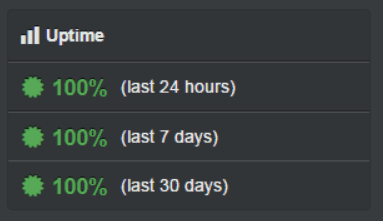 Over the last 24 hours, 7 days, and 30 days I was really happy to see a 100% uptime on my site. It’s important to understand that no web host can ever guarantee 100% uptime all of the time. When I first did my tests, I was just unlucky to have a couple of outages which made the results a little skewed. Another important factor to consider is how quickly your website ‘speaks’ to the server, and responds in order to display your website to the world. Again, we used Pingdom to monitor our website’s response time and here’s what we experienced. An average response time of 1.43 seconds across multiple European servers; that’s well below the recommended 3-5 seconds before we start to experience a loss in traffic, but slightly slower than other hosts we’ve tested. At this point I’m going to bring us back to thinking about cost. In terms of performance versus affordability, you’d be mad not to choose iPage for your web hosting. From £1.50 per month, you can have your website hosted and be reassured your site will load in a decent amount of time across multiple locations. 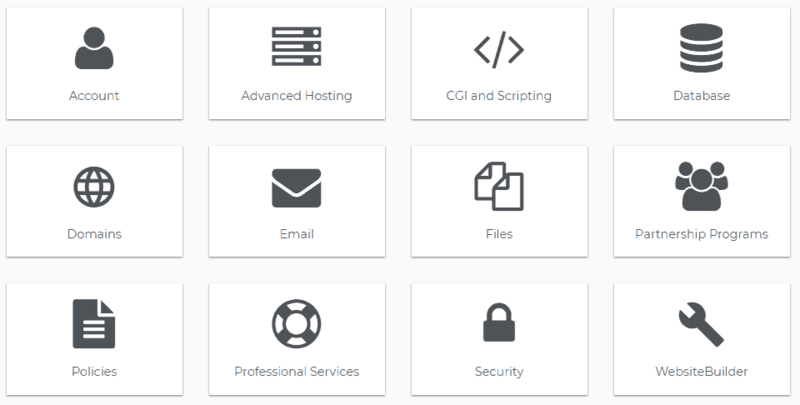 The themes for WordPress hosting were handpicked for a reason. 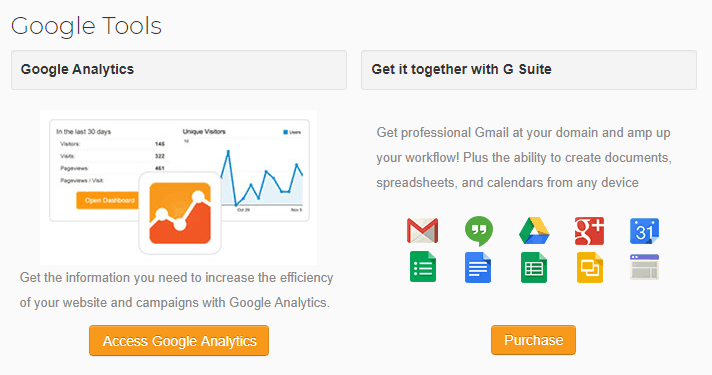 The themes you’re given here have been tested to be responsive, easy on the eyes and user friendly. 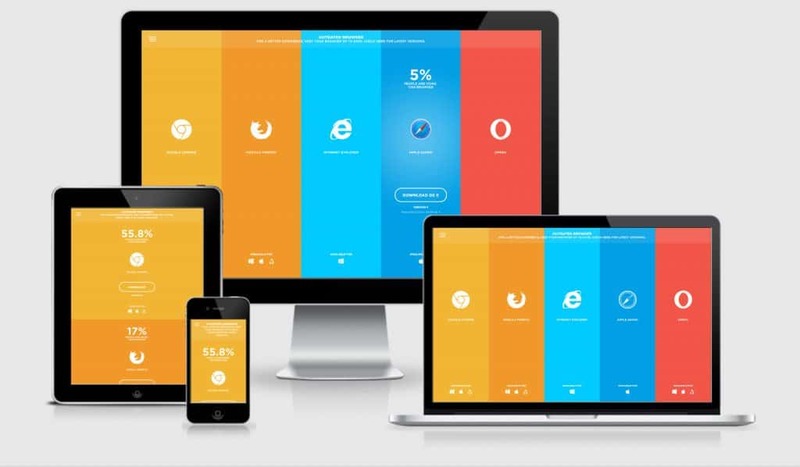 Providing responsive themes to customers isn’t just about being convenient. Almost 80% of adults own a smart phone, accessing the world wide web every single day. When a user visits your website, you want to make sure that they can view it on any device. More importantly, you don’t want to have to put in extra effort to achieve this. I really liked quite a lot of the themes that I tried out and some of them I use to this day on our other sites. They had a different them for every kind of niche you can possibly imagine, and they’re all responsive. This is a reason alone for me to choose iPage for their ease of use. Whether it’s from adding functionality or speeding up your site, the plugins I tested that came with iPage WordPress hosting were impressive and drastically improved the speed of my sites. If you skipped the part above where I talk about speed and performance, go back and check it out (you’ll see what I mean). Everything from creating a cache of the site to improving how scripting loads, your site speed will be improved. This is so important in 2019 for many reasons, including improving your site’s SEO and Google ranking. As I mentioned briefly earlier, you’ll have access to a control panel of tools and functions that you use most when you’re on your WordPress site. iPage doesn’t just offer the bog standard installations, they’ve clearly researched what their customers want and have provided for their needs. There are so many tools and options on iPage, it would take too much room to list them all here. I’ll go over some of the core features so you can see for yourself (otherwise I’ll end up getting carried away telling you how great iPage’s web hosting is). Unlimited disk space, bandwidth, domain names and MySQL databases. “Great!” I hear you say, everything is unlimited. What I really thought was worth focusing on here was the unlimited SQL databases iPage’s hosting plans offer. We know that a lot of the terminology used in the world of web hosting can sound like mumbo jumbo, but this essentially means that you can host a single website, or multiple websites. Having the ability to do this ‘all under one roof’ is a feature that many web hosts overlook, but not iPage, once again, they think of everything, and their customers always come first in their decisions. That’s a small sample size of all the features and tools they offer to even the cheapest shared hosting package. 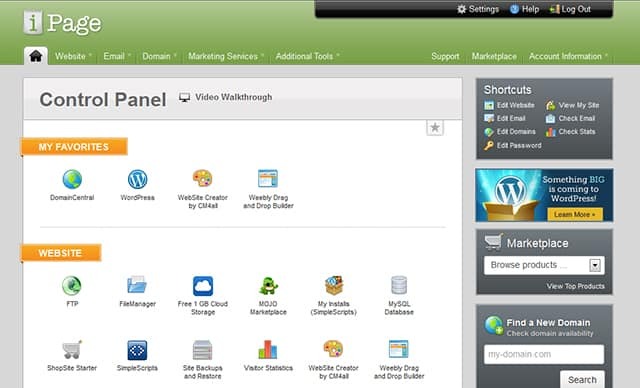 The WordPress hosting package gets even more functionality, which is unlike anything we’ve ever seen in this industry. With most hosting companies, you have to pay extra for every single feature you want and this a yearly recurring charge. iPage is just giving all this functionality away for free. Yet another reason why I love iPage, and just a reminder, this is all from only £1.50 per month! iPage’s Mojo Marketplace contains all of your 1-click installs, which includes the likes of WordPress, Joomla, but also themes, templates, plugins, and even images and logos – how great is that? iPage make it simple to utilise their features in order to create a new website, or enhance your existing website to it’s best potential. Being one of the leaders in web hosting since 1998 comes a responsibility to provide the best support possible for their customers. I wanted to put them to the test and present them with a wide variety of problems. I mean, how else was I supposed to review their support without actually using it! First, I noticed that they have an extensive knowledge base to help people who would like to try and solve their own problems. This may not be the solution for everyone, but those of us who are busy and just want to follow a guide, this is perfect. The next thing I noticed is that they split up the help into different sections including website, domain, email and a portal for your support tickets. When you step into the world of web hosting, simplicity is key. It’s simple to search for an answer too, if you’re not entirely sure which category to choose. Just start writing your question and iPage’s intuitive support system will list related articles, and allow you to view more results. All of the different sections have the most common issues listed for your convenience and our issues were definitely listed there but we wanted to test out the actual live support. This is where I feel I can really show you how good iPage’s support is. I tested the live chat system at 7:00 PM GMT, during what I would consider to be a busy period to see how quickly I could speak to someone, and how their knowledge held up. Within 3 seconds I was connected to an agent who was friendly, helpful, and knew their stuff! As well as live chat, iPage also offer a support center, telephone support, and a ticket system. Needless to say, I was impressed with the level of support I got and haven’t had to ever contact them for any real issues. iPage’s web hosting drives a hard bargain. Their customer support was very impressive, responding to me within a matter of seconds during their peak period. Their tools and features are also very noteworthy. When you look at other web hosts, you may notice some similarities between them. However, what iPage does really well is it goes above and beyond. When a web host puts their customer’s first, it’s noticeable, and I definitely recognised that with iPage. From £1.50 per month I honestly wasn’t expecting much in terms of speed and performance. I thought something like a WordPress website would run okay but I didn’t think it would exceed in so many areas. My test site with iPage had a great uptime, response time, and load speed. iPage’s web hosting features really impressed me. Whether you’re looking to host a small website with a blog, or sell products in your eCommerce store, iPage can offer something for everyone and at £1.50/month, it’s a very good choice.